One of the reasons that you must have plans for your day is that many days will bring unexpected happenings and events. Only the prepared are flexible enough to move in other directions as the events warrant. There was a time in my life when I would plan my sermons six months to a year ahead. A few times I would be asked by other pastors how can you plan that far ahead? ‘You have no idea what’s going to be happening in the world or even the congregation six months to a year from now, therefore how is your preaching relevant?’ The Holy Spirit can lead us today in ways that people will believe we prepared the sermon the night before. Often when I would preach a sermon that had been planned and prepared weeks before, I was amazed at how relevant the message was because of events in our world or circumstances transpiring in our congregation. I also firmly believed that if I felt the Lord leading in another direction, it was much easier for me to change when I knew that I was prepared. If one is unprepared, I’m not sure that you can be as confident that it is the Lord leading you another direction or just your anxious feelings leading you down one of many paths. I had many plans laid out for this week, and in addition to those projects, I have had to make provision for auto body repairs, a fire in a church parsonage, the potential sale of another church property, and a crisis in the life of a pastor. There was no way on Friday afternoon that I had any idea that any of these things were going to be faced this week. It is out of the preparing that an almost incredible flexibility is developed. Since I know what I need to do, I can put it on the shelf for a few hours attending to the matters at hand, and when I have tended to those items, I can come back and finish the things that I had in mind to do this week. It’s not always easy, but it is certainly more doable when you have a plan and have made careful preparation. The real difficulty comes in people getting up day after day with no plan, no agenda concerning things that must be accomplished today: they just wait for the phone call, the email, or someone to drop by and then that determines the direction of their day. Preparation never eliminates emergencies and the unexpected, but it helps us day in and day out to work on the things that are important, so that when other things arise you have the flexibility to set aside your plans and take care of what is essential to take care of at this moment. My mantra today: prepared people are truly flexible! Many people use the fact that in their mind they have never had an ideal week, so they don’t plan for what they would do in a typical week. They have become emergency technicians of the faith, who just wait for emergencies and circumstances to dictate their waking moments. Lack of proper preparation and unclear boundaries is how burnout and ineffectiveness happens. If you don’t have a plan, you are wasting a lot of time. Go over your routines for this past week, how much of what you did was necessary and moved you toward the goals that you have or help to fulfill the vision that God has given to you? Dealing with every interruption as they happen with no plan of what I need to be doing this week or this day is a prescription for achieving next to nothing. You cannot wander through life with no plans, no purpose other than sure let’s go to coffee. You’re tired because you have done something but have you moment by moment moved in a positive direction of accomplishing things that absolutely no one else can accomplish but you? Emergencies happen! Things happen! Much of life is routine and mundane. 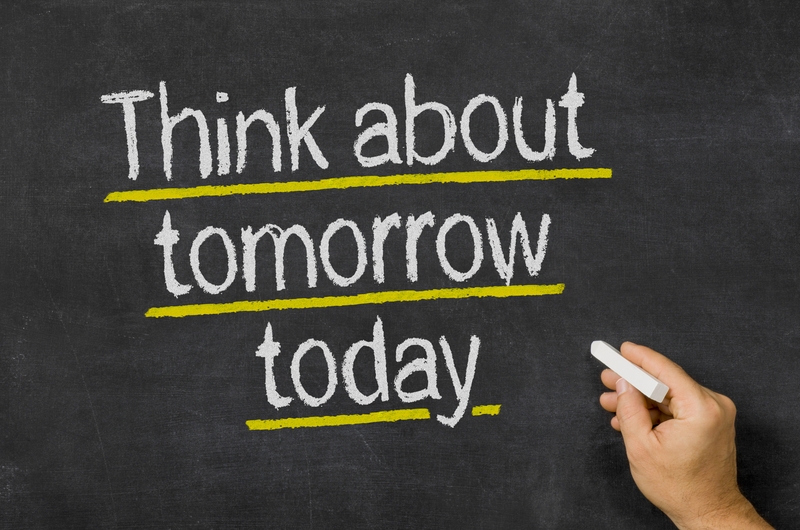 Nothing will help you more and keep you on track than planning your next day the night before, listing the three or four things that only you can do and if done the next day will move you forward, and it’s up to you to plan and execute your plans. Try it this week; I know more than likely something unforeseen will take place this week that you will have to stop and attend to and see that it is done. But plan tomorrow tonight. Maybe you just need to get out of bed an hour earlier spend some quiet time reading and reflecting before your day gets started. Try to take care of one of the two or three critical things that need to be done that day. You will find that you enter your day with more confidence and excitement because regardless of what happens you’ve already accomplished something necessary. One of the problems is that priorities rarely feel necessary the moment we are taking care of them. But a series of positive, even small steps done consistently have tremendous impact over time. Try it for several weeks and see if it doesn’t make a difference in your work.